IIT Kanpur Recruitment 2016 Notification for Jr Asst, Jr Technician, Staff Nurse vacancies – Apply Online: IIT Kanpur Recruitment 2016 Notification for 94 Junior Assistant, Technician, Medical Officer positions. Job seekers who are looking for Govt jobs in India, this is the best opportunity to apply online. IIT Kanpur is going to fill 94 positions in various designation. Hence Candidates who are interested to apply for this recruitment Vacancies can read all the instructions and prospectors before last date of application submission. IIT Kanpur 2016 notification released the Indian Institute of Technology Kanpur going to fill 94 positions such as Jr Asst, Pharmacist, Student Counselor designations. All the Eligible and Interested Aspirants can apply online on or before 30 August 2016. The details regarding this Recruitment, Educational Qualifications, Age Limit, Pay Scale, and Selection Procedure are available at the official website www.iitk.ac.in.This is the precious opportunity for those candidates who are eagerly waiting and preparing hardly for Central Govt jobs. Latest employment news in IIT Kanpur Group A Vacancies. Those who want to enter in this recruitment can follow the details enclosed below for IIT Kanpur placements. Registrar: Maximum of 45 years. Dresser: minimum age of 21 years and the maximum of 30 years. Group A (S.No. 1-5): Rs. 500/- for General/ Unreserve. Group B (S.No. 6-13): Rs. 250/- for General/ Unreserve. Group C ( S.No. 14): Rs. 50/- for General /Unreserve. No fee for SC/ ST/ PWD candidates. Application fee can pay through online mode by using net banking, credit/ debit cards. Candidate Should open official website of IIT Kanpur i.e., www.iitk.ac.in. Read the notification Click on ‘Apply Online’ button. Fill the online application form as given the following credentials. Take a print out of the application form and Send the application along with required documents to the below address on or before the last date. 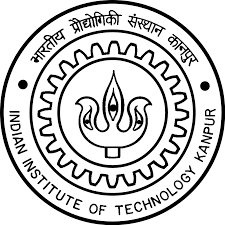 IIT KANPUR – 208 016, Uttar Pradesh.